Invopak wins Customer Service Award at E3 Business Awards 2018! We are delighted to announce that for the second year running, Invopak are the winners of the prestigious E3 Business Customer Service Award 2018. It is a great honour for us to be awarded this accolade for the second consecutive year, and we hope that it demonstrates just how committed we are to delivering on our 5 Customer Promises and continually improving the Customer Experience, for everyone who deals with us. “Some people may think that this stuff is easy, when in reality it isn’t. It takes a lot of hard work to do what we do day after day, and I think one of the reasons we have been successful is because we have been very consistent. It takes a special kind of commitment to do these things steadily, drip by drip, until you reach the place where you want to be. We would never have gotten the kind of changes that we have seen in the business unless they fundamentally aligned to what the people within the business believe in. This is why we pride ourselves on always adhering to our purpose and values. However, the most important step that we ever took was simply beginning. You will never be fully prepared, and the odds will never be perfect so just begin. The 2018 E3 Business Awards took place on the evening of Thursday 12th July at the Macron Stadium in Bolton. The winners were announced in front of an audience of nearly 500 delegates from across the North West. To reach the finals, all nominees had first made a written submission, followed by interviews with an independent judging panel. From the many hundreds of entries submitted to the organisers, the judges produced a shortlist of just 55. The awards featured 16 categories in all, with some candidates appearing as finalists in more than one of them. “The E3 Awards have always been about more than just commercial success; they celebrate the impact that enterprise has on lives and communities across the North West. 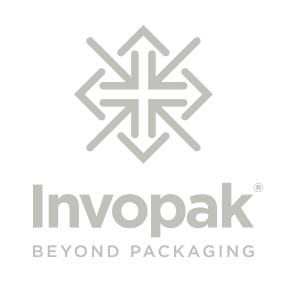 Invopak is a fine example of that enterprising spirit and it's right that its commitment should be recognised. More information about the E3 Business Awards, including a full list of winners, can be found at www.e3businessawards.co.uk. Invopak achieve Feefo Gold Trusted Service Award, for the second year! Invopak are shortlisted for the CXA 2018 Awards! We raised £1500 for Reuben’s Retreat! Your email address won't be shared with third parties.